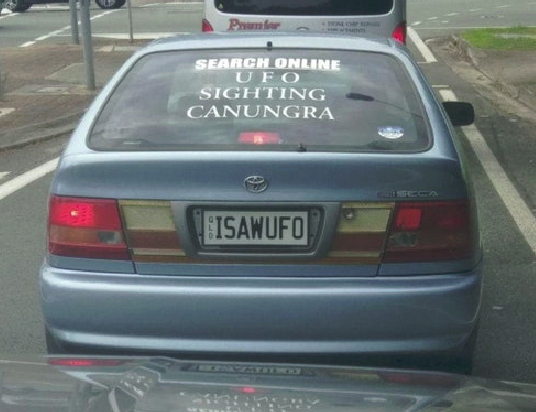 Just looked up Canungra UFO, read an interesting story about a radar operator on the HMAS Perth, said they would watch incredible manoeuvres by UFO, when he told the next in charge was told "what the f@!k can we do about it". I would struggle advertising something like this on my car! 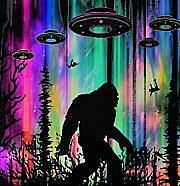 I would expect the amount of tailgating, high beams and strange looks would rise dramatically - you would be seeing lights in your rear mirrors more than you would imagine! This doesn't surprise me - really, what can anyone do about it? Like so many other things it's an open secret that no one wants to discuss. It's unfortunate, but true.